Ideal for tall, single stemmed plant. Green color powder coating steel wire makes it stronger to hold plant stem and lasts longer life. Green color perfectly blends into your garden or surrounding vegetation nearly invisible. 36 inch long by 3 inch diameter open loop allows the stem slip through. Lightweight and easy to use. 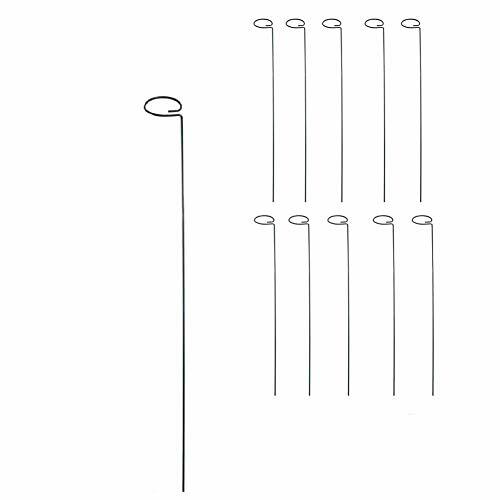 Single stemmed plant usually used as plant stakes,plant supports,plant grower,palnt cage for plant protection. If you have any questions about this product by MTB, contact us by completing and submitting the form below. If you are looking for a specif part number, please include it with your message.